What does LOON CUP do? LOON CUP is the world’s first smart menstrual cup. 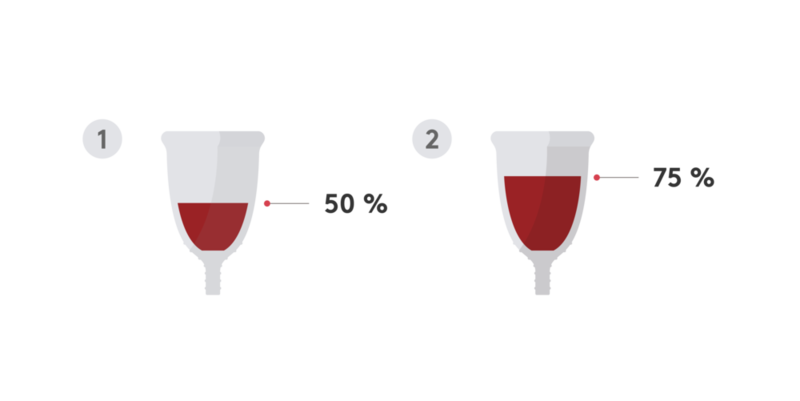 The cup not only functions as a normal menstrual cup but also works as a health indicator. It automatically measures your menstruation volume, color, cycle and body temperature, and tracks menstruation information. It informs you when it needs to be emptied and it plays a role in your good health. 1st : It will notify you when the level is approximately half full. 2nd: You will get a second alert to remove and empty it when it is getting full. Haptic feedback alerts the user when it is time to empty the cup. The haptic feedback is a gentle vibration that is noticeable but not unpleasant. There was no quantitative method of measurement for menstrual fluid. This made it difficult to determine health from a period. LOON CUP monitors changes in menstrual color, body temperature and flow. A historical record of the data allows easy comparison and can show if there are indications of some gynecological problems. It is easy to compare the total volume to other periods and monitor your health condition. Track your daily volume and compare it with your history so far to identify abnormal bleeding. See your pattern and identify any irregular or abnormal bleeding. Detect minute color differences without oxidation or light interference. Color may be correlated with obstetric diseases. The cup recognizes the difference between the inside and outside of the body and automatically records your cycle. Body temperature is an important indicator for your health condition. The cup measures the basal body temperature continuously and precisely.